Our USDA-certified organic, whole turkeys are raised free-range in the USA and fed a 100% organic, all vegetarian, non-GMO diet with no antibiotics or hormones. The White Broad-breasted breed turkeys are raised on small Midwestern farms with strict standards for humane treatment. 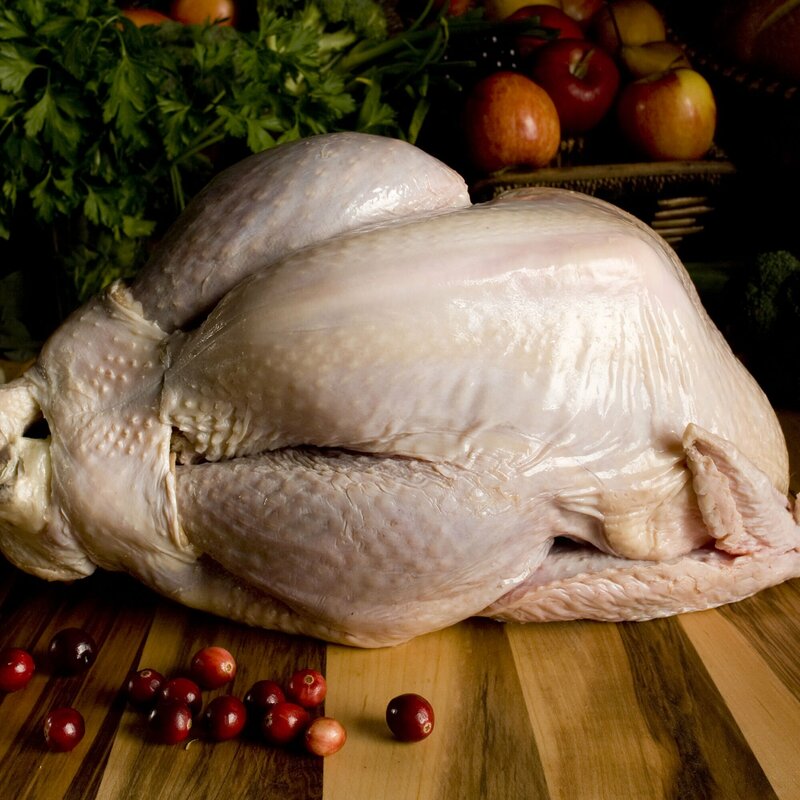 Our organic turkeys have 25% less fat than standard, commercially-raised turkeys, and roast up nice and crispy on the outside, with a tender, meaty and moist center.